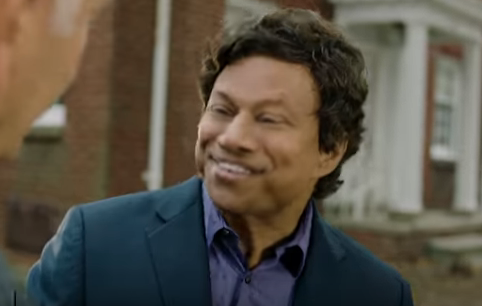 Democrat Shri Thanedar's playful ads on TV with people mispronouncing his name are having an impact. With about 50 percent of voters still undecided, a new poll by Marketing Resource Group (MRG) for the first time shows Thanedar leading Democrat Gretchen Whitmer by three percentage points (21% to 18%) in the 2018 race for governor. The Democratic nomination contest is essentially tied because the poll has an error margin of 4 percentage points. It was taken two weeks ago. Still, that's a big change from September, when the firm' had Whitmer leading Thanedar by 24 points. Thanedar's campaign said last month that t had spent more than $1.2 million on TV ads. "While Whitmer has been lining up endorsements, Shri Thanedar has been winning support among Democratic voters," says MRG president Tom Shields, a longtime Lansing pollster. "His campaign ads are working, and Whitmer could be in for a fight." Thanedar is now the best-known name in the Democratic field, raising his name recognition to 45 percent among all voters. Our poll shows Gretchen Whitmer has some troubles in the City of Detroit, where she is only getting 9 percent of the vote and is running third behind Thanedar (27 percent) and Abdul Al-Sayed (14 percent). The latest poll also shows Attorney General Bill Schuette up 16 points over Lieutenant Governor Brian Calley (29% to 13%)) in the Republican race for governor. The survey of 600 likely Michigan voters was conducted March 13-17. The random sample was stratified by city and township to reflect voter turnout. Thirty percent of the sample was conducted with cell phone users. In addition, quotas for gender and cell phone interviews were met within each geographic area, and extra efforts were made to reach African Americans.